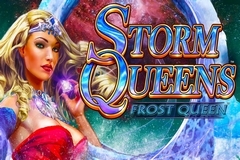 Storm Queens are a series of 4 pokies from Australian games developer Aristocrat, that share an overall theme and features, with Frost Queen, Thunder Queen, Sand Queen and Flame Queen all being the stars of their own games. Highlights include giant symbols that can fill up 9 reel positions, stacks of symbols and a free spins game with even more rewarding reels. These 5 reel, 40 line pokies are found exclusively at land based casinos, in the Viridion cabinets that set the main part of the game on a wide screen, for better appreciation of the details, while pictures of the individual queens and game titles are located above and below them, so there’s no missing what pokie is being played. An unusual feature is that most symbols are also shared across the games, so once someone has played any of them, there’s not much to be gained by playing any others, but let’s not be too cynical, as they are high-quality pokies that have some decent features and the sharp graphics that the Aristocrat developer are so well known for. The Storm Queens are beautifully presented in some impressive animations, with each of these attractive ladies playing host to her own game and being the highest-value symbol. Each game comes with a well-designed background image, while the game titles are exceptionally detailed and see some nice animations playing out. Winning a prize is just a matter of landing 3 or more of the same type of symbol across a payline running left to right, but the job is made easier by the giant symbols that can fill much of the screen at any point of the game, as well as the stacked symbols that turn up in the bonus rounds. Basic wins come from the classic playing card symbols 9, 10, J, Q, K and A, but to get the higher payouts, players will want to see the images of a phoenix, wild horse, polar bear and black panther, while these are also the ones that can land in stacked or giant formats. The Storm Queens logo acts as a wild symbol, so it can substitute for others if it’s then possible to complete a winning line, but the real highlights are the giant symbols of the animals that can take up all of the middle 3 reels and even blown up to the se sizes, the graphics remain very impressive, while each animal will growl a bit, or flap its wings, depending on which one lands. Any matching animal or the wild on reel 1, will straight away make a 4 of a kind line with a giant symbol, and if either of these are also on reel 5, then players win the more valuable 5 of a kind payouts. A giant jewel symbol will trigger a free spins game when it stops across the middle reels, with players able to pick and choose how their free games play out. Before they begin, they are offered 5 combinations of symbols that will be super-stacked on the reels, and numbers of free spins. Because each Queen is the most valuable symbol, and the odds of a big win are enhanced of she is chosen as the super stacked symbol, players will see just 4 free spins play out, while the panther is the next most valuable and is combined with 7 free games. Players who choose the polar bear to be stacked will get 8 free spins, and the wild horse will be stacked for 9 spins. The Phoenix is the least valuable animal, possibly because it’s not real, and anyone who selects this mythical creature will see 10 free spins play out. Whichever symbol is chosen, it will appear far more times during the free spins than in the main run of play, so even if just 4 free games are picked, with the giant symbol being the high value Queen, there’s a good chance of picking up a big win or two when the Queen fills the reels. 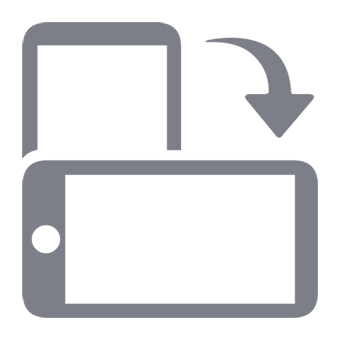 If reel 1, the giant symbol and reel 5 are all the same icon, then players get a 5 of a kind win across every single line. Taken as individual games, the Storm Queen pokies are filled with winning potential, while high quality symbols, graphics and animations make them look as good as they play. It seems a bit strange that symbols and features are virtually identical, with just the Queens and background images to differentiate one from another, but at least it gives players the knowledge that whichever they choose, they won’t have to learn anything new about them.